Homitt is a Jack of all trades in the household and recreation game. They offer products designed to make your life just a little bit more fun. 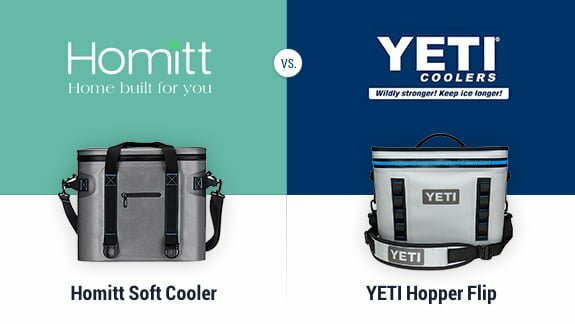 Recently, Homitt has thrown their hat into the ring of coolers so we decided to put together a Homitt cooler bag review to see how Homitt stacks up to established companies like Yeti. Homitt offer soft cooler bags that look good, but are they really worth the time and investment to add to your list of go-to coolers, or are they just another dust collector that takes up room in your garage? That is what we hope to find out. 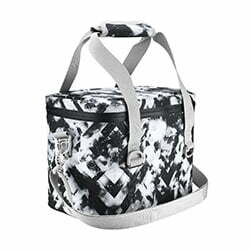 18.1" x 13.5" x 10.2"
Homitt has created three cooler bags in three sizes to give you options to help you carry everything from your lunch to your ticket as the life of the party. Let’s take a look at each of them in turn. 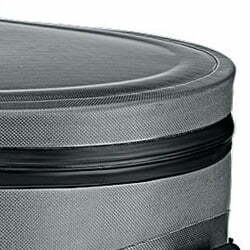 Our first impression of the 10 can Homitt Soft Cooler was less than enthusiastic. The color design of the cooler looks like Jackson Pollock got in a snowball fight with a paper shredder. 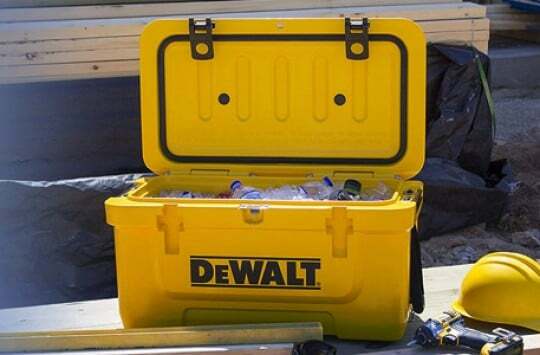 Fortunately, we don’t believe in judging a book by its cover, or a cooler by its lid. The construction of the bag goes a long way to assuage our misgivings from the outside. 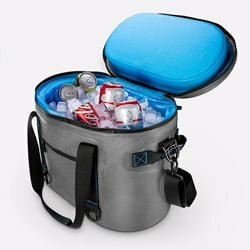 The 10 can cooler is built with an insulation system comprised of three layers that surprised us with the ability to keep ice for almost 3 full days. The outside (A on image below) and inside (C) layers are made from leak-proof thermoplastic polyurethane (840D TPU shell on outside and 440D TPU lining inside) that has good insulation and durability properties. 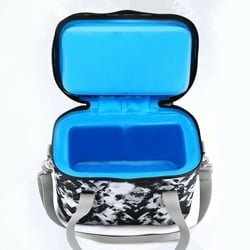 Between the two layers of TPU is a thick layer of high-density foam (B) that further increases the power of this little pack to keep your lunch and a few drinks cool. For a small soft cooler, this puppy actually holds its own reasonably well. Though, we still aren’t sold on the color. The 20 Can Homitt soft cooler has an impressive 2-inches of high-density foam (B) wrapped between the similar 840D and 420D TPU insulated nylon (A, C) on the 10 can cooler. Homitt moved in a much better visual direction with the 20 can model, though. 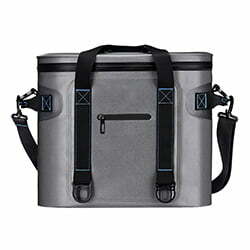 While this cooler still won’t win any fashion contests, the grey nylon with black handles has a tough industrial look (similar to RTIC SoftPak or Pelican Soft Cooler) that we still found much more appealing. 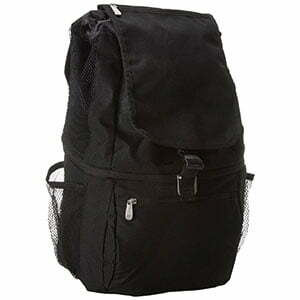 This Homitt cooler bag is equipped with two different strap systems that make carrying the cooler around easier. 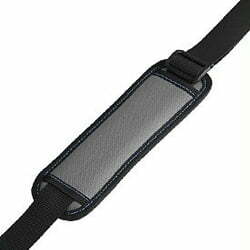 An over the shoulder strap has been useful for carrying over distances, while the top handles are comfortable enough to lift and move the cooler quickly. One of Homitt’s selling points is something we don’t usually put thought to, but the 20 can Homitt cooler is rounded in shape. They present this as a safety feature that helps to prevent being poked or prodded by sharp angled zippers and lids but if you’ve read our Kula cooler review then you know that coming up with a round cooler actually make sense. Admittedly, there is not a whole lot of difference between the 20 and 30 can Homitt coolers, with the exception that the 30 can is bigger, and bigger is always better. 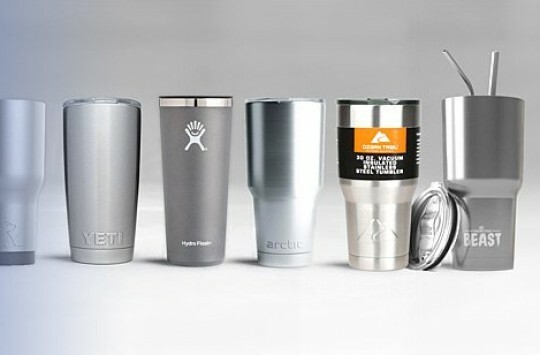 Like the smaller options, the 30 can features closed-cell insulation through three layers to minimize the melting effect of cool items stored inside. A couple things we want to highlight are that these three coolers are all constructed with nylon treated with an anti-microbial liner to prevent the growth of mold and mildew. You still need to make sure you clean and dry it after each use, but you don’t have to worry about it developing mold in between adventures. 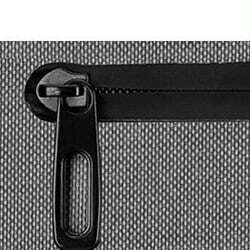 Homitt soft coolers also have a no sweat outer layer that goes a long way to helping the bag not leave a little puddle on the carpet in your trunk. 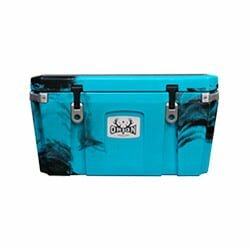 Coolers are kind of like playing basketball; no one likes a sweaty cooler, just like nobody likes guarding the shirtless, hairy guy that looks like he just got out of a swimming pool. Across the top of the Homitt soft-sided cooler is a thick lid that is designed to seat against the inside foam, and the zipper that complete the package is a TPU waterproof zipper that is designed to reduce the possibility for warm air to enter the cooler, and cool air to escape. As we mentioned earlier we wanted to take the Homitt cooler bag up against the powerful and time-tested Yeti Hopper Flip cooler. In this matchup of Homitt vs. Yeti we were all too eager to see how well Homitt hold up. 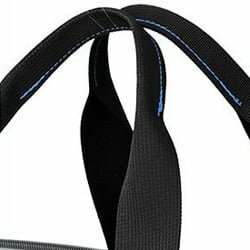 The first point is awarded to the Homitt soft cooler bag. Each brand offers 3 sizes of coolers to meet a variety of needs, but each of the comparable Homitt coolers has a slightly larger capacity. While only slightly larger, the Homitt is able to pack in more of the good stuff than the Yeti Hopper Flip. Point two goes to the Hopper Flip for overall build quality. 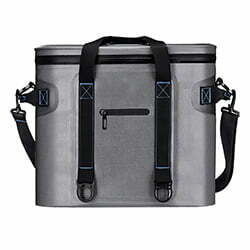 While the Homitt cooler bag is no slouch, the Yeti is built with HydroLok waterproof zippers, and the thick nylon layers not only keep everything cold, but also have greater abrasion and puncture resistance than Homitt. At the end of the day, we like a cooler that can take a pounding. 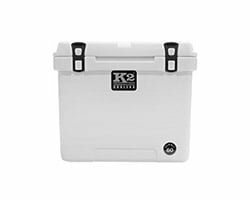 As far as keeping things cool, we have seen through research that both coolers are great at keeping things cool for up to three days of storage and travel, and easily handle a full day of constant open and shut use. Homitt Coolers for Sale – Where to Buy? Right now, Homitt only has a presence on Amazon. After a google search, we found that they don’t have a website outside of their Amazon marketplace page. We did find a few models available on eBay, but we recommend using this as a back-up if you can’t find the cooler you want on Amazon. You might be wondering why, well Amazon has some of the best shipping options, and they cover all purchases much better than others do. Plus, we have found recently that some sellers on eBay, actually get their products from the Amazon store. The bottom line of our Homitt cooler bag review is that this is a great simple, and modern cooler that is more than capable of handling all your cooling needs. 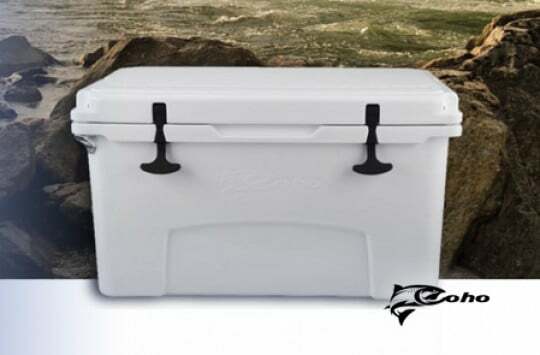 While it may not be a rugged as the Yeti Hopper, it offers an outstanding cooler at a great value and many actual users on Amazon described their positive experience. 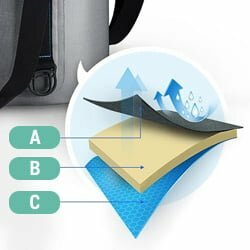 Homitt Soft Cooler Bag is a great simple, and modern cooler that is more than capable of handling all your cooling needs. 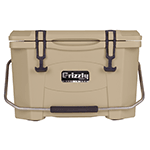 It offers an outstanding cooler at a great value.